A Masters Edition artwork, hand embellished by the artist. 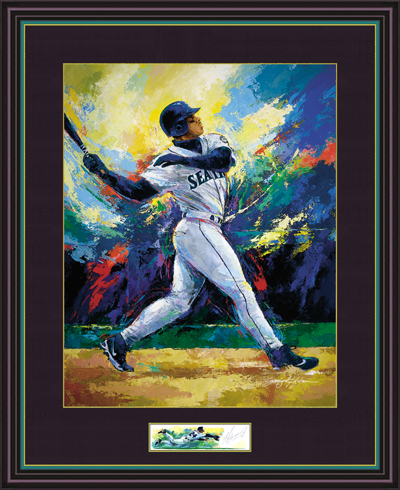 An original remarque is painted with Ken Griffey, Jr's personal autograph which is set behind glass at the bottom of the frame. Throughout much of his Hall of Fame bound career, Griffey has been acclaimed as the best player in baseball. Holien has masterfully captured the grace and power of his home run swing during his stirring MVP Season as yet another American League Home Run Championship is captured.